The main legislation is in the Companies Act 2006, where Part 35 (sec1,060 to sec1,120) covers the registrar of companies, though many Parts of the Act necessarily impose duties on companies to send information to Companies House and for the registry to record it. There is also considerable information available on the Companies House website. This page contains the Statutory Instruments made under the Companies Act 2006 in respect of Companies House. These Regulations implement Directive 2005/56/EC on cross-border mergers of limited liability companies (O.J. L310, 25.11.2005 p.1). This Order amends Part 35 of CA 2006 and the Companies Act 2006 (Commencement No. 8, Transitional Provisions and Savings) Order 2008/2860 Part 35 of the 2006 Act deals with the functions of the registrar of companies and material delivered to and registered by the registrar. These Regulations make provision relating to the functions of the registrar of companies under Part 35 of CA 2006 and the delivery of documents to the registrar under the Act and under other enactments. The Regulations also make provision relating to applications for striking a company's name off the register under Part 31 of the Act. These are covered elsewhere. Regulation 2 requires an application to strike a company's name off the register under section 1003 of the Act (voluntary striking off) to contain a directors' declaration. Regulation 3 authorises the registrar to annotate the register where material on the register appears to be misleading or confusing. "The register" is defined in section 1080(2) of the Act, read with section 1120, and refers to the records held by the registrar relating to companies and overseas companies. The power in regulation 3 is subject to section 1081(3) to (5) of the Act. The material to which the power applies is limited by paragraph 105 of Schedule 2 to the Companies Act 2006 (Commencement No. 8, Transitional Provisions and Savings) Order 2008 (S.I. 2008/2860 (C. 126)), as amended by the Companies Act 2006 (Part 35) (Consequential Amendments, Transitional Provisions and Savings) Order 2009 (S.I. 2009/1802). Regulation 4 provides that an application may be made to the registrar by specified persons to remove from the register particular material concerning a company's officers or registered office where the material derives from anything invalid or ineffective or from anything done without the authority of the company, or is factually inaccurate or derived from something that is factually inaccurate or forged. Regulation 4 also provides for applications to remove from the register similar material relating to overseas companies. Regulation 5 sets out further requirements for applications under regulation 4 and makes provision for objections to such applications and for notices to be sent by the registrar. The requirements for applications are in addition to those in section 1095 of the Act which, among other things, requires an application to be accompanied by a statement that the material is such that it may be the subject of an application and is required to be removed. If no objection to the application is received, the Act provides that the registrar may accept this statement as sufficient evidence that the material should be removed from the register. But if an objection is received, the Regulations provide that the registrar must reject the application. Regulations 6 and 7 are concerned with exceptions to the general rule in section 1103 of the Act that documents required to be delivered to the registrar by specified provisions of the Act, by orders or regulations made under those provisions or by other specified legislation must be drawn up and delivered to the registrar in English. This general rule is qualified by sec1104 and sec1105. Sec1104 allows documents relating to a Welsh company (as defined in sec88(1)) to be drawn up and delivered to the registrar in Welsh. Such a document must, when delivered to the registrar, be accompanied by a certified translation into English, but regulations may provide for exceptions to that requirement. Regulation 6 provides exceptions for certain documents relating to non-traded companies (as defined in the Companies Act 2006). It also revokes existing exceptions. Section 1105 allows regulations to specify documents which, by way of exception to the general rule in sec1103, may be drawn up and delivered to the registrar in a language other than English provided that, on delivery, they are accompanied by a certified translation into English. "Certified translation" is defined in section 1107. Regulation 7 specifies a number of documents for this purpose. For overseas companies, further exceptions to the rule in sec1103 are provided by regulation 78 of the Overseas Companies Regulations 2009 (S.I. 2009/1801). Sec1105 does not apply to any document relating to a Welsh company that is drawn up and delivered to the registrar in Welsh (see sec1104(5)). Sec1108 of the Act provides that names and addresses in a document delivered to the registrar under any enactment must contain only letters, characters and symbols which are permitted by regulations. The section applies to all documents delivered to the registrar on or after 1st October 2009 (see paragraph 108 of Schedule 2 to the Companies Act 2006 (Commencement No. 8, Transitional Provisions and Savings) Order 2008). Regulation 8 specifies the permitted characters and symbols for this purpose. It also provides that the rule in section 1108(1) does not apply to certain documents, thereby allowing names and addresses in these documents to contain characters and symbols which would otherwise not be permitted. These Regulations provide for the fees payable to the registrar of companies in respect of his functions relating to the registration of documents, the inspection or provision of copies of documents kept by him and the disclosure of information protected under the CA 2006 relating to companies, overseas companies and limited liability partnerships. The Regulations come into force on 1st October 2009 and extend to the United Kingdom. They replace the Companies (Fees) Regulations (Northern Ireland) 1995 (S.R. (NI) 1995 No 312), the Companies (Fees) Regulations 2004 (S.I. 2004/2621), the Limited Liability Partnerships (Fees) Regulations 2004 (S.I. 2004/2620) and the Limited Liability Partnerships (Fees) Regulations (Northern Ireland) 2004 (S.R. (NI) 2004 No 396), subject to the transitional provisions contained in regulations 6, 7 and 8 and Schedule 5 to the Regulations. They revoke the Companies (Competent Authority) (Fees) Regulations 2002 (S.I. 2002/502), the Limited Liability Partnerships (Competent Authority) (Fees) Regulations 2002 (S.I. 2002/503) and the Limited Liability Partnerships (Records Inspection) (Fee) Regulations (Northern Ireland) 2004 (S.R. (NI) 2004 No 397).The amount of the fees in these Regulations remain the same as the corresponding fees in the replaced Regulations. The Regulations also introduce fees in respect of functions and services of the registrar for which fees were not provided in the replaced Regulations. These Regulations provide for the fees to be payable to the registrar of companies in respect of his functions relating to the registration of documents relating to European Economic Interest Groupings (EEIGs) and European Public Limited-Liability Companies (SEs), and the inspection or provision of copies of documents kept by him relating to EEIGs. These Regulations, which are made under sec1043 of CA 2006 apply to unregistered companies specified provisions of that Act and also provisions of CA 1985 that are repealed by the Act. The unrepealed provisions of the 1985 Act are extended to Northern Ireland by virtue of section 1284 of the Act. These Regulations make provision in connection with the registration of a company on an application under CA 2006 sec1040 (i.e. a company not formed under the Companies Acts but authorised to register). These Regulations replace the provisions made by sections 681 to 682, and 684 to 690 of and Schedule 21 to the Companies Act 1985 (c.6) and Articles 630 to 631, and 633 to 639 of and Schedule 20 to the Companies (Northern Ireland) Order 1986 (S.I. 1986/1032 (N.I.6)). Part 2 of the Regulations deals with the process of an application to register under sec1040 of the Act. Regulation 3 provides that a company may not register without the assent of a specified majority of its members. Regulation 4 sets out the requirements for the application to the registrar of companies to register under sec1040, and specifies the documents that need to be provided with that application. Regulations 5, 6, 7 and 8 make detailed provision regarding the statements which must accompany the application, namely, a statement of capital and initial shareholdings (in the case of an application by a joint stock company), a statement of guarantee (in the case of a company wishing to register as company limited by guarantee), a statement of proposed officers and a statement of compliance. Regulation 9 provides for the requirements that are to be met for a joint stock company to register as a public company. Regulation 10 sets out the circumstances in which a company may change its name on registration. Regulations 11 and 12 require the registrar to register a company which complies with the registration requirements in these Regulations and to issue the company with a certificate of incorporation. Part 3 of the Regulations provides for the effects of registration under the Act. Regulation 18 provides that, on registration, the provisions of the Companies Acts apply to the company which has made the application to register under sec1040 as if it had been formed and registered under the Act. Regulations 14, 15 and 21 make provision for the transfer of property, rights and liabilities and the effect on pending legal proceedings, and the capital structure of the company. Regulations 16, 17, 19, 20, and 22 make provision for matters relating to the company's constitution. These Regulations amend the Registrar of Companies (Fees) (Companies, Overseas Companies and Limited Liability Partnerships) Regulations 2009 (S.I. 2009/2101) (above) ("the Main Regulations"). The Main Regulations are amended to extend the application of those Regulations to companies within CA 2006 sec1040 (i.e. a company not formed under the Companies Acts but authorised to register), and unregistered companies under sec1043 of the Act. A fee is inserted into the Main Regulations for the registration of a company not formed under the Companies Acts but authorised to register. The amount of the fee is £20. These Regulations revoke the European Public Limited-Liability Company (Fees) Regulations 2004 and the European Economic Interest Grouping (Fees) Regulations 2004 subject to the transitional provisions in regulations 2, 3 and 4 and Schedule 2 to the Regulation. These Regulations amend the requirements for a company’s annual return with regard to shareholder information; and the SIC code that companies may use to describe their principal business activities. Since 1.9.10 The FSA Disclosure and Transparency Rules in DTR5 have required traded companies to disclose major shareholder details, which are now stored on the National Storage Mechanism at www.hemscott.com/nsm.do. 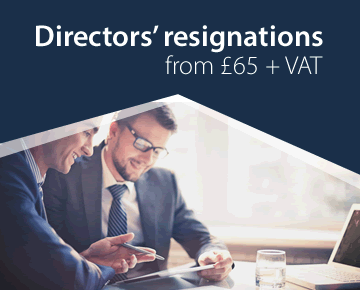 As a result the 2006 Act is amended so that no disclosure of shareholder details is required in the annual return of a company which was covered by the obligations under DTR5 throughout the period covered by the return. Companies are now required to use the latest version of the SIC code (United Kingdom Standard Industrial Classification of Economic Activities). The code is used to classify business establishments by the type of economic activity in which they are engaged. The latest version is SIC 2007 which is identical to the EUROSTAT System, NACE and the United Nations system ISIC. New rules on the registration by overseas companies having charges on assets in the UK. Essentially, because there are some problems in the system, the requirement for such companies to register charges at Companies House has been abolished (!) but the company will still have to keep its own register of charges. present, registered overseas companies are required to register with the registrar of companies any charges they create over property in the UK at the time the charge is created. The registration process is much the same as for UK companies. 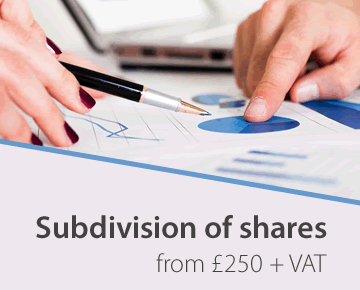 The requirement to register such charges at Companies House is abolished. As the registration requirement applies only if the property was in the UK at the time the charge is created, the public record does not provide the same assurance for registered overseas companies as it does for UK companies. This is a particular issue for intangible property as its location may be uncertain. Given the severity of the sanction of invalidity, well-informed lenders will seek to register the charge if there is any doubt. However, it may be difficult for a lender to discover whether an overseas company has registered a UK establishment - this is because the name under which it registers a UK establishment may be different to the name under which it is incorporated. This is a particular problem for companies from countries that do not use the Roman alphabet and also for a company that has changed its name. In the light of these problems, the Regulations remove the requirement for charges over UK property created by registered overseas companies to be registered with the registrar of companies. Company law also requires UK companies to keep a register with brief details of all its charges and provides that this register and copies of all instruments creating registrable charges must be kept available for public inspection either at the company’s registered office or at an alternative inspection location in the same jurisdiction notified to the registrar of companies. Registered overseas companies are subject to similar requirements but the register is restricted to their registrable charges and the location where the register and the copies of instruments must be kept available for inspection is a location anywhere in the UK that has been notified to the registrar of companies. to make available for inspection copies of instruments that must be entered on their register and of any charge over assets in the UK. The Regulations do not amend the existing requirement that these documents be kept and be available for inspection at a place in the UK that has been notified to the Registrar, but they also provide for the alternative of electronic inspection. These Regulations amend the Companies (Disclosure of Address) Regulations 2009 by including the Minister for the Cabinet Office in Schedule 1 to those Regulations, which specifies the public authorities to whom the registrar may disclose protected information (a director’s residential address) under sec243 of the CA 2006. Sec96 of the Small Business, Enterprise and Employment Act 2015 inserted new sec1087A1 into CA 2006, to provide that the date in a person’s date of birth shown on official Companies House forms would not show the day part of that date. These regulations allow Companies House t disclose that information to certain public bodies and credit rating agencies.